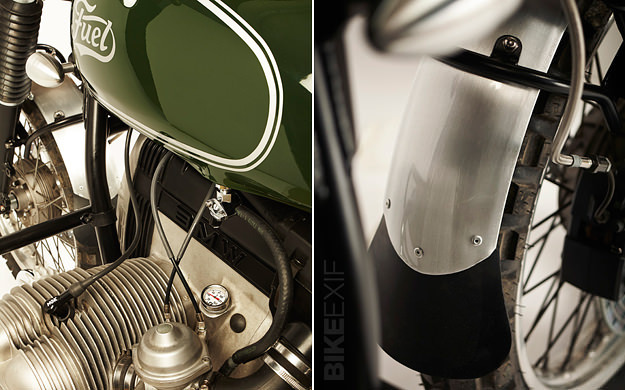 Fuel Bespoke Motorcycles is not the most prolific of Spain’s custom workshops, but their creations are always worth keeping an eye out for. 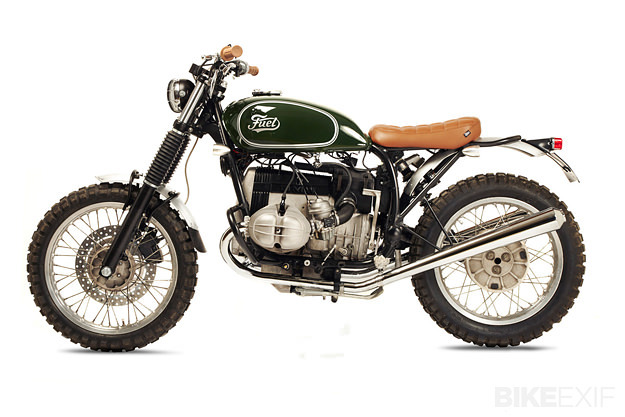 This is the latest, based on a 1984 BMW R80ST. The R80ST was commissioned by a classic bike enthusiast who lives in the Austrian Alps and wanted an upgrade to both aesthetics and performance. So Fuel’s engineer Hilario and mechanics Isaac and Jose set to work. The forks are now from a BMW K75 Sport, mated to a custom axle and newly fabricated triple trees. The front brakes were upgraded too, with a 320mm disc, a four-piston Brembo caliper and a Nissin master cylinder. The rear has been entrusted to a Wilbers shock with multiple adjustments. Fuel also switched the exhaust to a custom 2-into-2 system, raising the angle of the mufflers. The rear subframe has been redesigned to create a shorter and slimmer profile, and to strengthen the bike for off-road use. 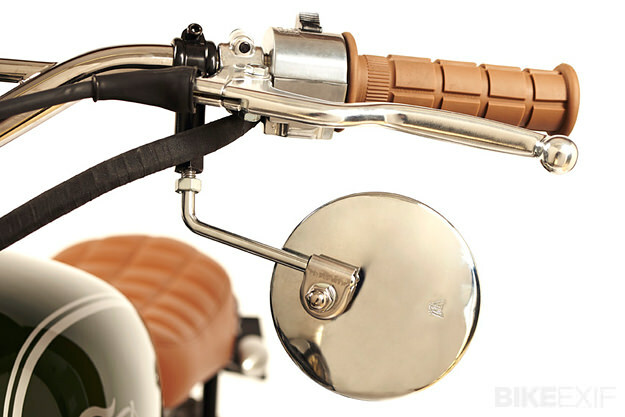 The headlight is now from a classic Spanish trials bike, mounted on a custom bracket. It sits ahead of a Motogadget speedometer, Tomaselli bars fitted with the switchgear from an old Triumph, and classic enduro grips. A car-type starter motor has been installed to fire up the engine. The tank is from a Kawasaki KZ750, with an ingenious addition to one side: A vintage Ural suicide shift (above) has been converted to a choke mechanism for warming up the engine when cold. As with all Fuel bikes, the fit and finish is absolutely immaculate. 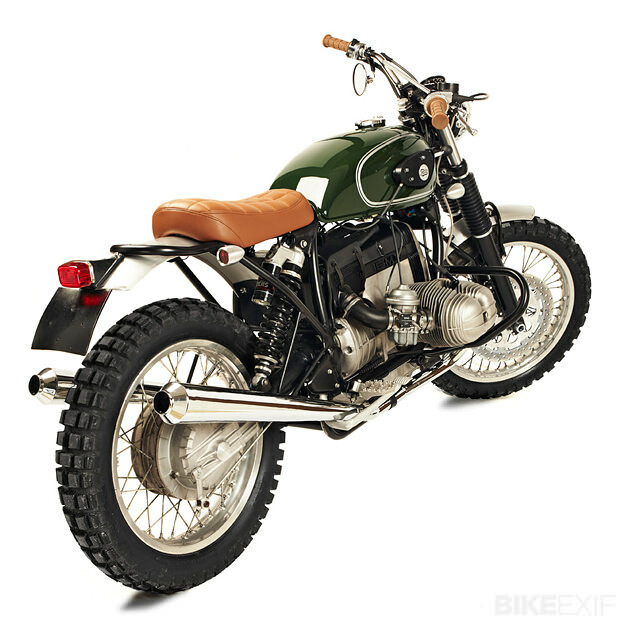 Although this R80ST rolled out of the showroom nearly thirty ago, it looks like it left the factory yesterday. Today, Karles and the Fuel crew are heading south for ‘Scram Africa’—a trip of more than 2,000 kilometers for classic trail bikes and resto-mod customs, to Morocco and beyond. 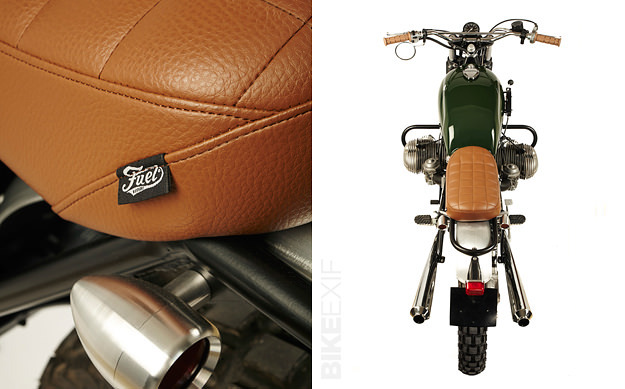 So it’s no surprise that the R80ST has already been ridden in anger—and there are photos to prove it. 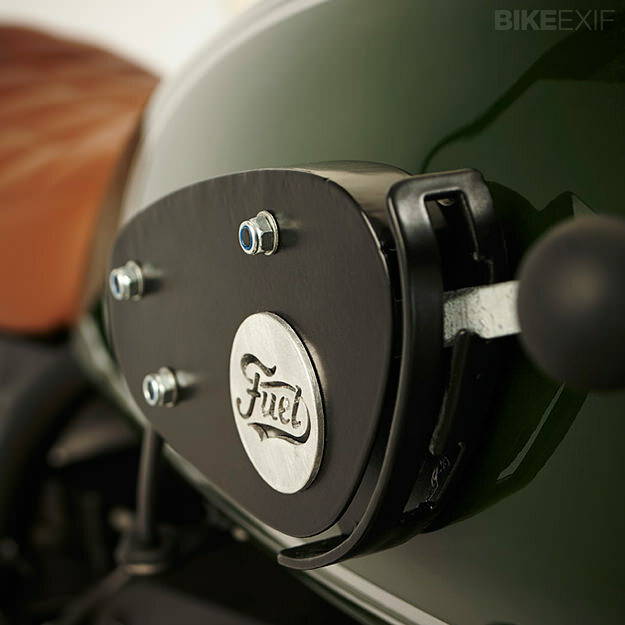 Head over to the Fuel Bespoke Motorcycles website for more images of Fuel builds, and follow their news via the Fuel Facebook page. Images by Claudio Rizzolo.